Spring grass – is simply refreshing and full of promise. I love the anticipation of another season – wonderful thing to be a part. 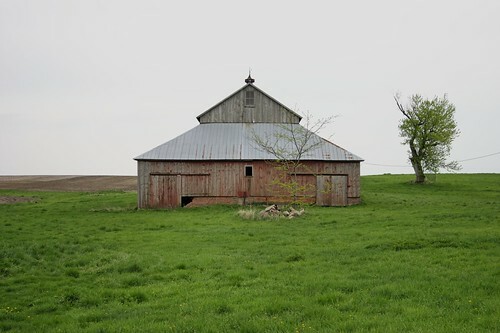 Found this barn along a gravel road south of I-80 in east central Iowa – just before the rain. Part of a farmstead that appeared to be serving as a residence only, probably an “acreage” , as the barns and cribs looked to be primarily for miscellaneous storage.